In my experience, when AA.com is capable of searching an award partner (like Finnair or British Airways), it’s been safe to use AA.com instead of BA.com to search. 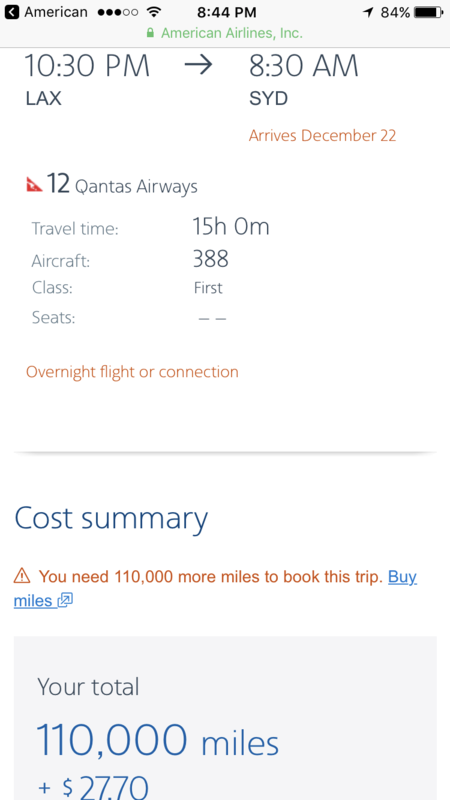 Searching for awards to Australia up front can be the golden ticket of award travel (generally, North America to Australia or New Zealand in the North American winter is next to impossible) but every year I try to line up an Xmas week/NYE trip Down Under. 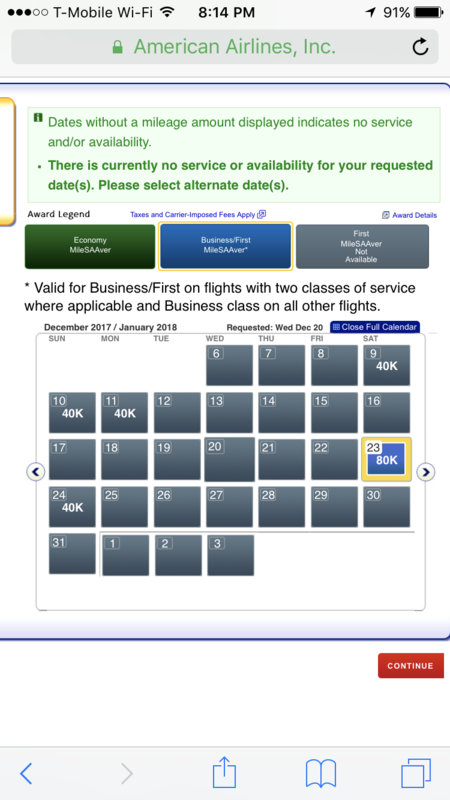 The AA award chart showed just one day with premium cabin availability and that was Dec 23rd with a connecting business class flight via Melbourne. 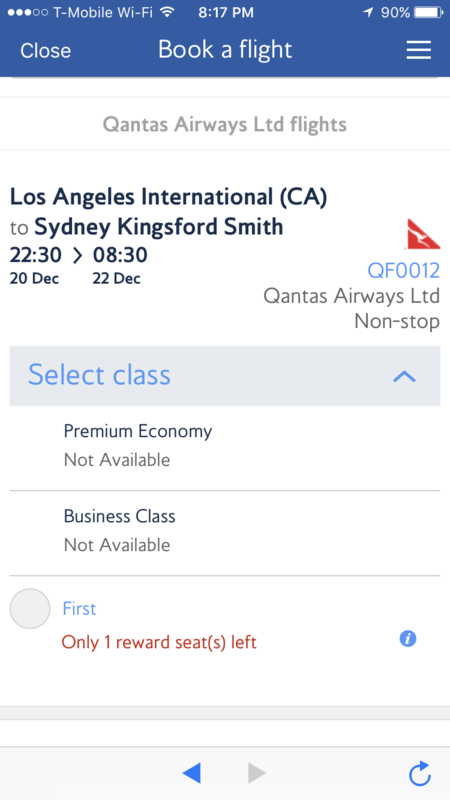 But I pulled up the BA.com app to search day by day and found availability in First Class on Dec 20th. I checked Expert Flyer and confirmed the seat availability. So why wasn’t it showing on AA.com? I called in to feed them the flight info and see if they could find the one I was seeing everywhere but on AA.com. Sure enough, the agent found the seat in a few seconds flat and put it on hold for me. The lesson? Don’t trust AA.com with partner bookings.